From Highway 44: take the Big Bend Road exit and head South to Holmes. Turn left on Holmes, then make a left at the first stop sign to stay on Holmes. Once over the highway, make a left at the first stop sign onto Leffingwell. Travel North on Leffingwell 0.8 miles and turn left into Leffingwell Center 1. 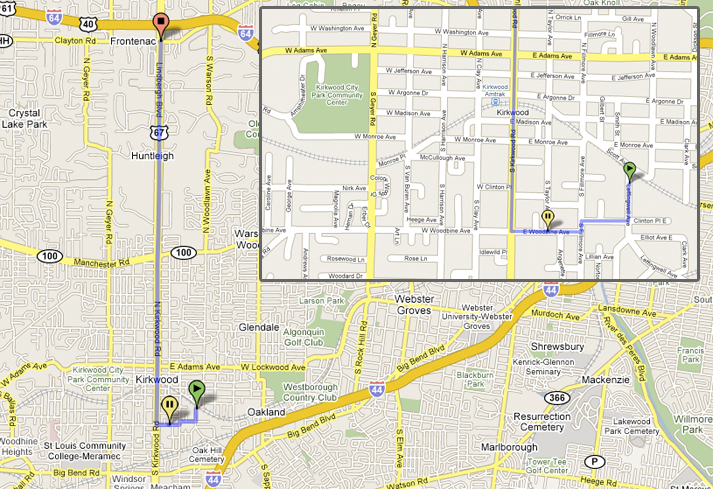 From Highway 40: take Lindbergh South for approximately 5 miles -- toward downtown Kirkwood. Lindbergh will turn into Kirkwood Road as you drive. 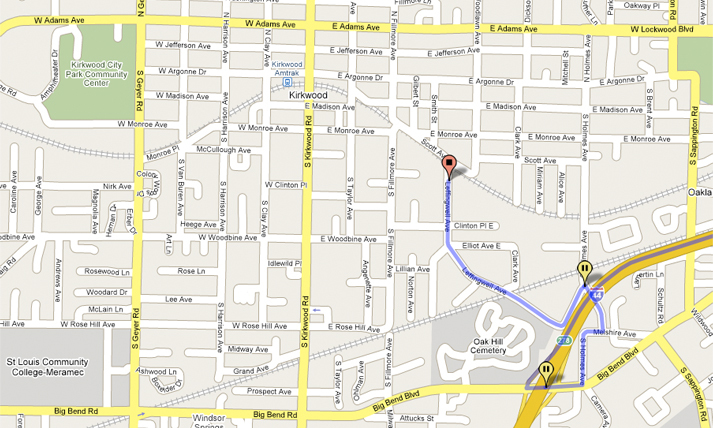 From Kirkwood Road, turn left onto E. Woodbine Avenue, go 2 blocks and take a left on S. Fillmore. Make an immediate right on Clinton Place East. Turn left on Leffingwell, and make a left into Leffingwell Center 1.